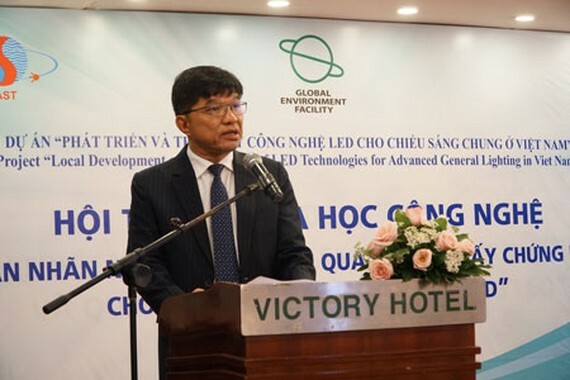 A workshop, a part of the project “Local Development and Promotion of LED Technologies for Advanced General Lighting in Vietnam” (LED project) supported by the Global Environment Facility (GEF) and UNDP, took place in Ho Chi Minh City yesterday. The event was held by the High Technology Development Center (HTD) of the Vietnam Academy of Science and Technology (VAST) and the United Nations Development Program (UNDP) in collaboration with the Department of Energy Efficiency and Sustainable Development of the Ministry of Industry and Trade (MOIT). This is the third workshop in a series of workshops on implementation of the energy labeling program with an aim to introduce, guide and discuss energy labeling regulations to be readily prepared for compulsory labeling of LED lighting products as of 1st January 2020. Within the framework of the Energy labeling program for electrical equipment and appliances implemented by the MOIT since 2006, the LED Project has supported the MOIT to develop regulations and roadmap for labeling and certification of LED lighting products. To implement this program, the project continues to support the MOIT to develop a methodology to determine the appropriate energy efficiency levels and monitoring and evaluation (M&E) plan for the implementation of the LED lighting product labeling program. At the same time, the project also assists LED lamp manufacturers, importers to select LED products and prepare applications for the labeling program during voluntary period. The goal of Energy Labeling Program and application of Minimum Energy Performance Standards (MEPS) is to achieve a minimum cumulative saving of around VND10 trillion (US$ 480 million) and a reduction of 34 million tonnes of CO2 emissions by 2030. Electricity saving will be about 6,000 GWh per year, that reduces the demand for electricity generated from two coal-fired power plants with a capacity of 500 MW (equivalent to US$ 1 billion invested in coal based power plant). Participating in the workshop are representatives from the MOIT, the Vietnam Lighting Association, the Standard Institution, VAST, lighting experts and especially the LED manufacturers and importers, service providers, end consumers, etc in the South. The LED project is being implemented with the goal to reduce greenhouse gas (GHG) emissions by transforming lighting markets towards LED lighting products in Vietnam. The project has supported Vietnam to develop and transfer LED technology and market sustainably through developing TCVN standards for LED lamps; directly supporting 02 lamps producers in improving product design capacity and production process and product quality and demonstrating the installation and replacement of locally produced LEDs for indoor and street lighting. 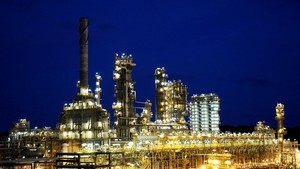 It is expected that the project will contribute to direct GHG emissions reduction of 69.38 kilotonnes CO2 by 2020 and 5.154 million tons by 2030, contributing to reducing GHG emissions of the Vietnamese lighting industry and to the efforts to implement the Paris Agreement Implementation Action Plan on Climate Change in Vietnam. At the seminar, Mr. Nguyen Van Thao, Director General of HTD Center confirmed that this is a right time to implement the energy labeling program for LED lighting products. The support of the LED project in the past two years has brought about a positive change in the experience and production level as well as the transformation of the Vietnamese lighting market towards LED technology, a state-of-the-art lighting technology nowadays.